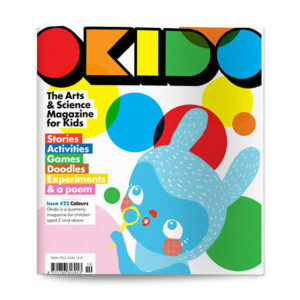 OKIDO is a monthly magazine designed to help young children and their families find their inner scientist through creativity and play. Help little musicians find their place in the orchestra. Bake some deliciously musical cheese batons. Read the ‘dum-diddy dum’ poem and violin story. Find Foxy in a forest full of instruments. Experiment with high and low sounds. Learn all about Debussy and the music of Impressionism. 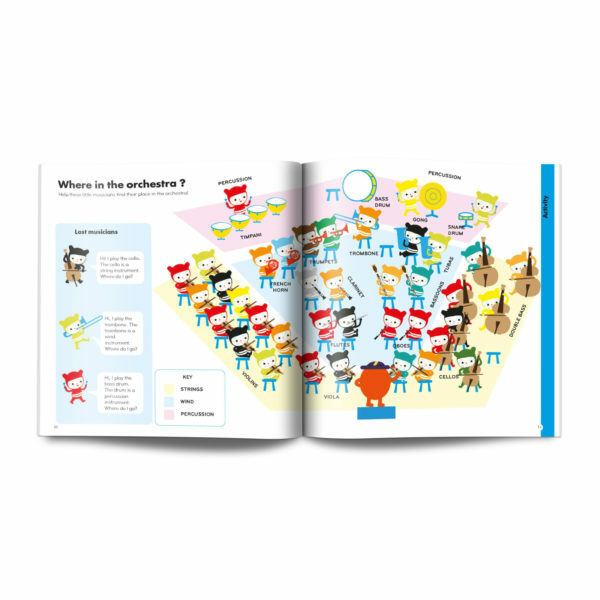 Play the musical score game using semibreves, minims, crochets and quavers. Draw your favourite band or singer – or draw yourself on stage! 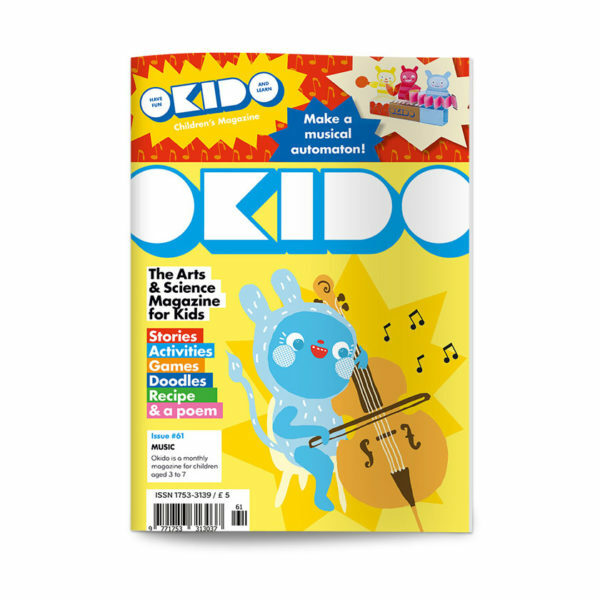 OKIDO magazine is designed to keep children engaged for hours with things they can do on their own as well as with grown ups. 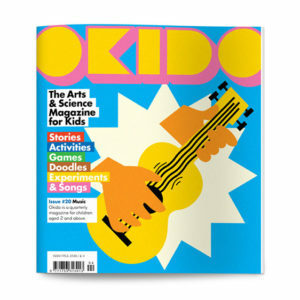 All OKIDO’s materials are developed by scientists and educators and are designed to turbocharge STEAM learning skills. 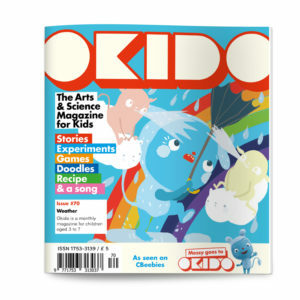 OKIDO is filled with scientific facts that relate to the world around us. Each issue is printed on FSC paper using biodegradable vegetable inks. You can also Subscribe to OKIDO for six or 12 months.